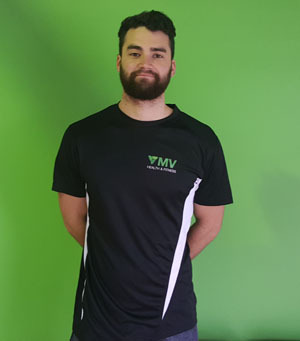 Jake is a highly qualified personal trainer with over 4 years experience in the health and fitness industry who has spent the past few years working in a private studio before becoming a member of the MaxNRG team as a mobile personal trainer. Jake is also currently studying to become a Osteotherapist, and his studies only add to his personal training expertise. Jake is soon to be a university qualified health professional that services in Brunswick, Ascot Vale, Carlton, North Melbourne, Pascoe Vale, Essendon, Maribyrnong and the surrounding suburbs. I train in a private personal training studio in Ascot Vale and I also do mobile personal training throughout Melbourne. I have been a qualified and registered personal trainer for over 4 years now and am currently studying to become a Osteotherapist. I have a passion for Health and Fitness as it has always been an important part of my life. I have worked both in a gym setting and as a mobile trainer and have great experience in both. Working with individual clients to help them reach their health and fitness goals is what I love most about my job. Brunswick, Ascot Vale, Travancore, Carlton, Parkville, Fitzroy, Nth Melbourne , Essendon, Maribyrnong, Tullamarine, Pascoe Vale, Moonee Ponds and the City of Maribyrnong and the City of Moonee Valley.